Clothing/Jewelry Description Possibly a blue shirt, jeans, white sneakers or black boots, and silver heart-shaped earrings with imbedded diamonds. Distinguishing Characteristics Native American female. Brown hair, hazel eyes. Lauria has a mole under her nose and a scar on the top of her head. Her ears are pierced. She is right-handed. Her nickname is Pooh. Lauria spent the evening of December 30, 1999 at her friend Ashley Freeman's trailer home near Welch, Oklahoma to celebrate the latter's birthday. Lorene Bible, Lauria's mother, said that Kathy Freeman, Ashley's mother, took the girls to the Pizza Hut in Vinita, Oklahoma during the evening. Lorene's statement contradicts authorities' belief that Kathy and the girls visited Big Bill's Barbecue in the 350 block of North Wilson Street in Vinita, Oklahoma. The group traveled in Kathy's blue Toyota and picked up feed for the Freemans' livestock, as well as water from Kathy's mother's house. The Freemans' trailer did not have running water and was primarily heated by a wood-burning stove in the living room. The family was described as avid hunters and outdoor enthusiasts who enjoyed living in the remote location. The trailer was equipped with telephone service and electricity. There were numerous firearms stockpiled inside the home and Ashley assisted with hunting for food. Ashley's boyfriend, Jeremy Hurst, told investigators that he met the women at a local Wal-Mart after their dinner. He gave Ashley a silver chain with a heart-shaped pendant embedded with her birthstone for her birthday present. Hurst said that he returned to the Freemans' home with the women shortly afterwards. He said that nothing appeared to be amiss and he departed at approximately 9:30 p.m.
Ashley's father, Danny Freeman, had relatives over during the evening who claimed that Hurst actually left at 10:30 p.m. Authorities said that no outgoing telephone calls were made from the family's home during the night. Kathy planned to take Ashley to her driver's test the following morning. Lauria had a dental appointment scheduled for the following morning and planned to leave the trailer shortly beforehand. A passing motorist reported a fire in the vicinity of the Freemans' residence at approximately 6:00 a.m. the following morning. Authorities discovered Kathy's remains inside the debris during the afternoon. Investigators initially stated that they were positive no other bodies were inside the home and did not secure the location during the overnight hours. Danny was considered the prime suspect in his wife's murder; authorities believed that he may have abducted Ashley and Lauria and traveled elsewhere, but all of the Freemans' vehicles were parked near their home. Lauria's car was also nearby and the keys were inside the ignition. Lorene discovered Lauria's purse propped inside the trailer, but there was no other evidence of the girls at the scene. Jay Bible, Lauria's father, discovered Danny's body in the bedroom of the mobile home during the following morning. The Bibles returned to the trailer in an attempt to gather more evidence as to their daughter's whereabouts. Both Danny and Kathy had died as the result of gunshot wounds. Danny's body was partially covered by debris inside the bedroom, explaining why his remains were overlooked. The medical examiner determined that Danny's right collarbone had been fractured prior to the entrance of the fatal wound. The coroner determined that Kathy died at approximately 5:00 a.m. Investigators believe that the fire was intentionally set in an attempt to destroy evidence of the crimes. An extensive search for the girls produced no evidence as to their whereabouts. 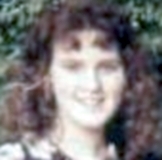 Lorene told reporters that Ashley had been saving her money to purchase a used vehicle in December 1999. Lorene said that she believed Ashley had accumulated $1200 in her savings account. Hurst said that Ashley actually claimed to have saved between $3000 and $4000 for the car. She was employed part-time at Roscoe's, a convenience store in Welch. Hurst said that Ashley did not have a bank account; she kept her money sealed in a Tupperware container in the family's freezer. Authorities were unable to locate any evidence of the cash after the fire. Lorene stated that Ashley and Danny had been arguing earlier in the month regarding the vehicle. She claimed that Ashley wanted to purchase a different car than Danny had desired. Danny reportedly had a violent temper and had been charged with abusing his son, Shane, in 1998. He was acquitted of the charges in 1999. Danny consistently protested the allegations. Oklahoma law enforcement officer David Hayes shot and killed the Freemans' son, Shane, in 1998. Hayes was on duty at the time of the incident. Shane was on a country road in possession of a stolen vehicle at the time Hayes encountered him. The car had apparently broken down. Shane allegedly reached behind his back and pulled a gun, prompting Hayes to fire at him. The incident was investigated and Hayes' actions were found to be justified. Hayes and his brother, who is also a law enforcement officer, said they both took polygraph exams after the girls' 1999 disappearances. Neither of them are considered suspects in the investigations. Hayes and his brother have not participated in the active cases. 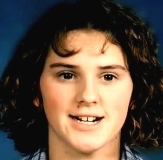 Several of Danny's relatives believe that local law enforcement was behind the murders and the girls' disappearances, but no evidence has been located to support the theory. Freeman family members also believe that Shane was attempting to flee the scene at the time of his death and claim that his autopsy report contradicts the official verdict. Photos of Danny, Kathy and Shane are posted with this case summary. There was speculation that Ashley and Lauria were involved in the Freemans' murders after the searches failed to produce evidence as to their whereabouts. Investigators stated that there was nothing in either girl's background to suggest they could be capable of such brutal acts. 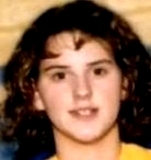 Ashley was a member of the Welch High School basketball team, although she was unable to participate in the 1999 season as the result of an ankle injury. Lauria was a cheerleader and planned to become a cosmetologist after her high school graduation. Both girls were viewed as being well-behaved teenagers in 1999. Several possible suspects were investigated over the years, including the serial killers Tommy Lynn Sells and Jeremy Brian Jones. In April 2018, eighteen years after the two teens vanished, police announced that they had made a serious break in the case. Authorities now believe that three men, identified as Warren Phillip "Phil" Welch II, David A. Pennington and Ronnie Dean Busick, went to the trailer that night, killed Danny and Kathy, set the fire and took the girls. Pennington and Welch are now deceased and Busick has been arrested and charged with four counts of first-degree murder, two counts of kidnapping and one count of arson. A photo of Busick is posted with this case summary. According to investigators' theory, Ashley and Lauria were kept alive for an unknown number of days after they were abducted. The three suspects took Polaroid photos of the girls while they were captives. They told multiple people they were holding them, and showed them the pictures. Busick is awaiting trial for Ashley and Laura's murders. Authorities still hope to recover the girls' bodies, and the case remains under investigation. Foul play is suspected in their cases due to the circumstances involved. Updated 9 times since October 12, 2004. Last updated April 23, 2018; details of disappearance updated.